The “Zip” is one of the more affordable models of activity trackers offered by the mighty Fitbit. The device comes with an intuitive design and a lot of features that makes it worth every penny you pay for it. Wearable gadgets are getting mainstream in the fitness industry and Fitbit’s Zip is one of the best and most affordable in market. The Zip is a bit different than most activity trackers and comes without a wrist band or a neck lace. The device can measure steps taken, distance covered and calories burnt and upload these results to the internet database for more calculations. The Zip™ comes in five attractive colors; blue, magenta, white, charcoal, lime. It is powered by a 3V coin battery, CR 2025 and gives a backup of 4-5 months. Moreover, the device does not cost much and comes at a mere price of $46.99 on Amazon. The Fitbit Zip is the most unique wearable gadget we have seen so far. Most activity trackers take shape of a watch or an amulet but the Zip is amazing, a display covered by a silicone body that you can cling onto your pocket, belt or even a training vest. With the provided clip, you can mount it to wherever you want. The clip is fairly comfortable and does not make its presence felt. Zip is a daylong companion and you can carry it wherever you go, it can resist water, sweat, rain and even deep splashes in water! Also, the back lit display is amazing for a product of this price range and displays vivid bold characters. The device is very easy to use and just has to be tapped with your finger point to toggle between display modes. There are 5 modes in all: Steps, Distance, Calorie burned, Fitbit smiley and the clock. 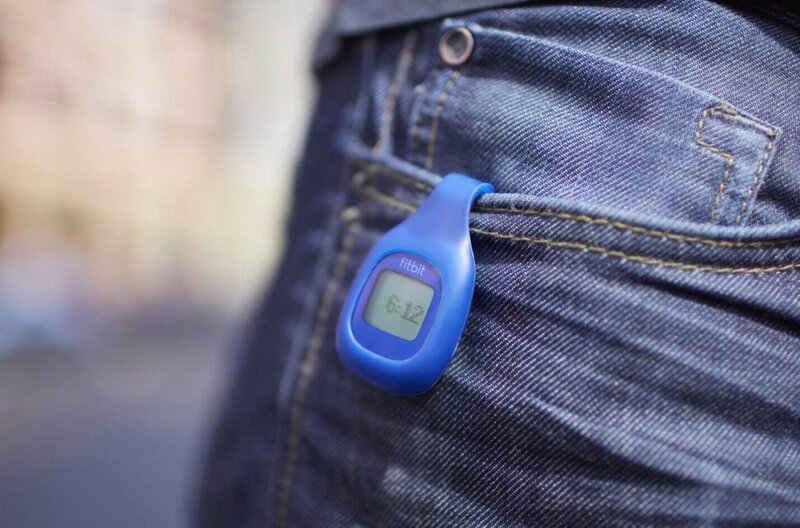 With the device you can track steps, distance covered, pace and calories burned. You can also set daily goals, view progress of you activity and share it across multiple platforms. Once the Zip records data, you can sync it wirelessly using the Bluetooth 4.0 technology. It comes with a USB dongle to capture the Bluetooth signals and can sync data from as far as 20 feet from the dongle. You can also sync the data directly to your Smartphone using the Fitbit app that is available for Android and iOS. Once you are done with recording your stats, you can get them analyzed by syncing the data wirelessly and automatically to the Fitbit app which is compatible with a wide range of smartphones on both iOS and Android. Using the app you can log data, receive notifications, and view graphs and charts based on your performances. The app also gives a detailed insight about your activity and what have you achieved physically. You can also share your stats from the device with friends and family and challenge them to beat records set by you. The Fitbit app also syncs with popular fitness apps and allows data sharing for further analysis. Apps include “Spark people”, “Lose It”, “My Fitness Pal”, “Map My Fitness”,” Run keeper”, and “Endomondo”. 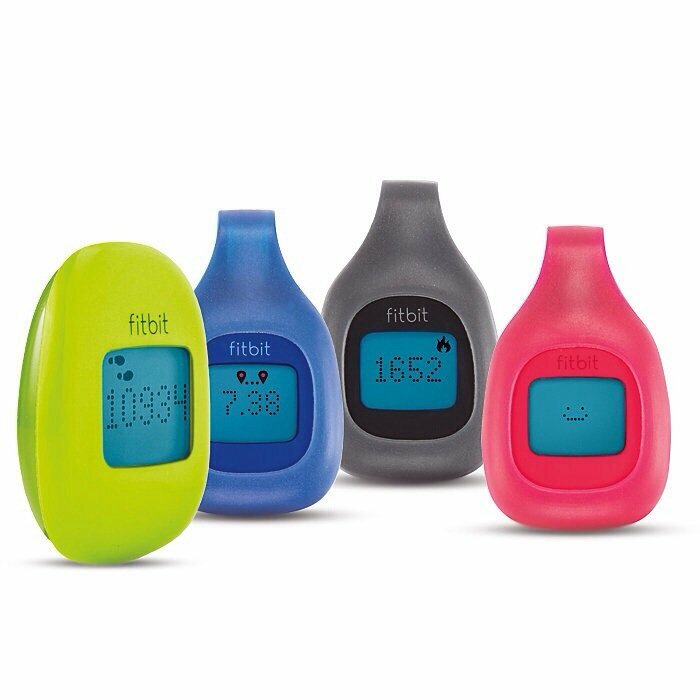 The Fitbit Zip is really a cheerful little companion that motivates you to live a healthier life. We were really impressed to see what Fitbit has managed to this with a device in this budget. The clip mount design adds a new dimension to the world of wearable gadgets, while it looks great; it cuts down the need for expensive wrist bands. And so with a number of attractive features and reasonable pricing, it is very safe to assume that we at Burntech absolutely love the Fitbit Zip.